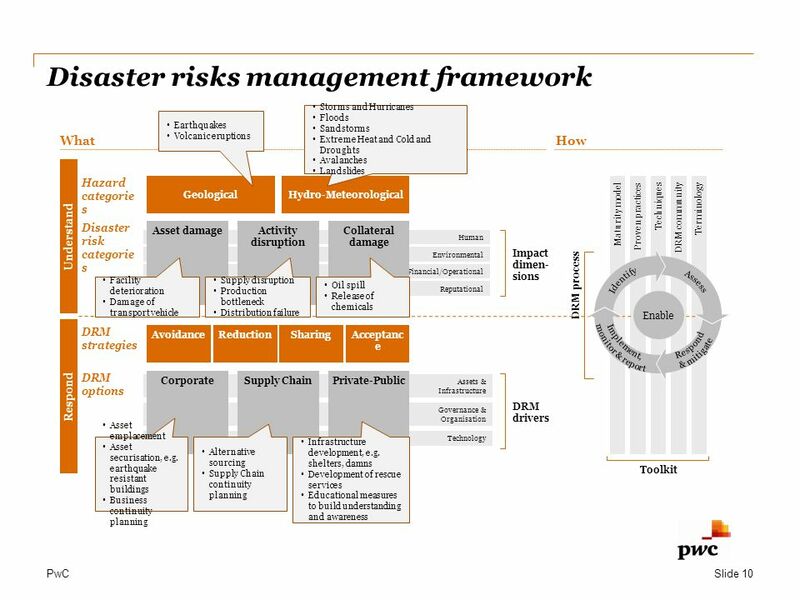 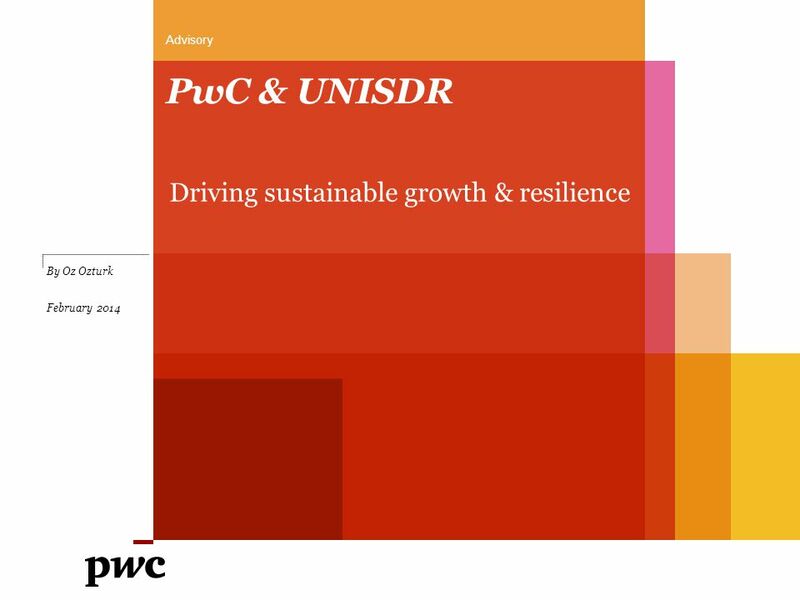 PwC & UNISDR Driving sustainable growth & resilience Advisory By Oz Ozturk February 2014. 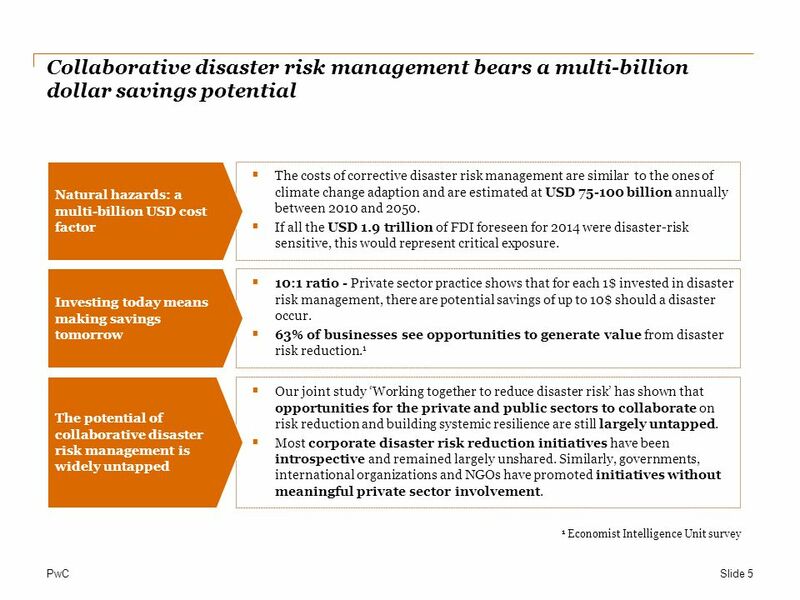 18 PwC It is a new way of collaborating, on a global scale, to unlock the potential for public and private sector actors who are ready and willing to make a step forward and take leadership on disaster risk reduction. 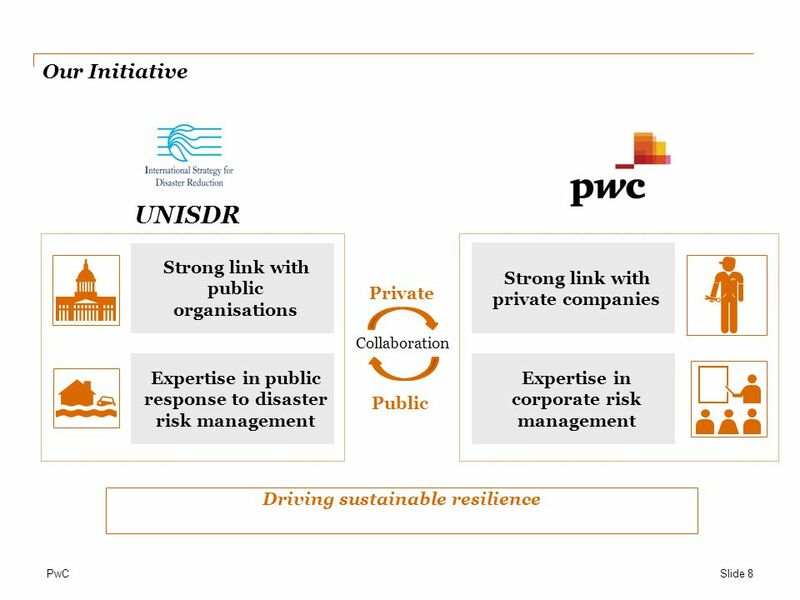 The United Nations Office for Disaster Risk Reduction (UNISDR) and PwC, the founding members, join with: R!SE aims to convene stakeholders who have the ability and resources to influence the future direction of DRM. 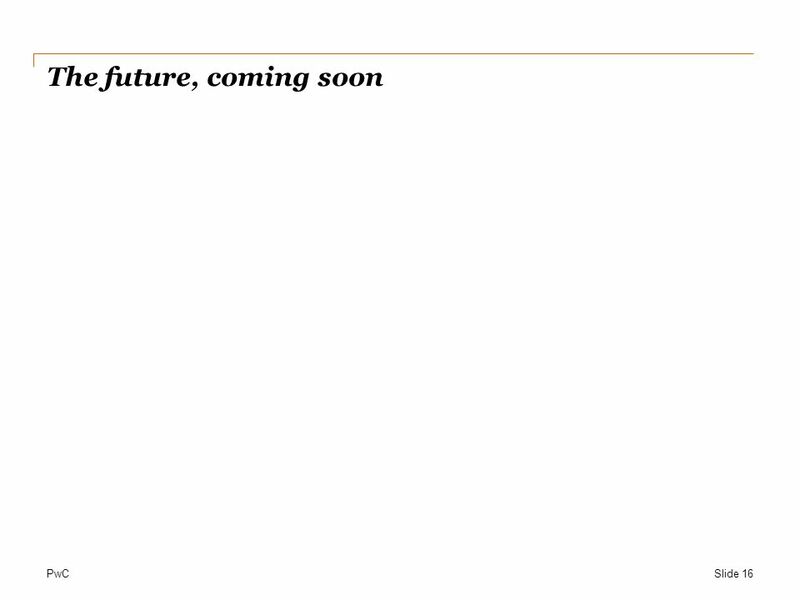 Business, Investors, Insurers, Public Sector, Education professionals and Civil Society. 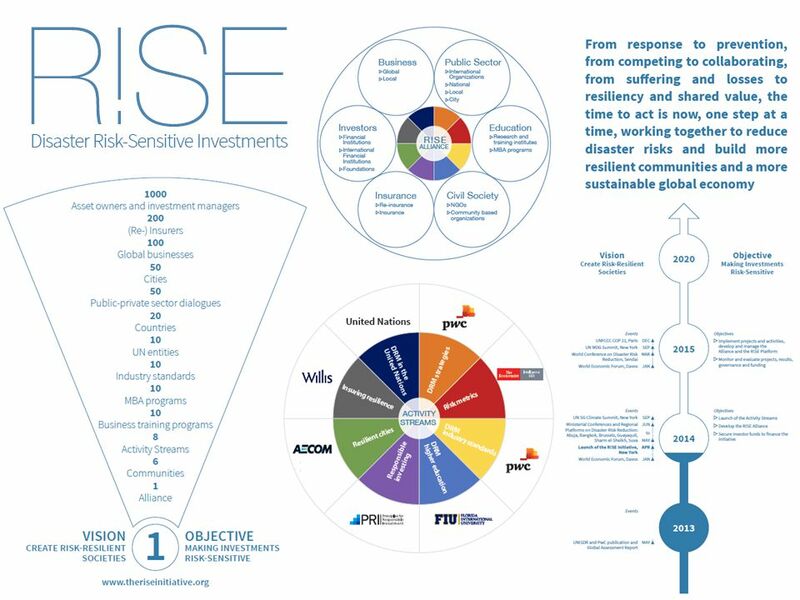 The R!SE Initiative is an ambitious global response to a daunting global challenge. 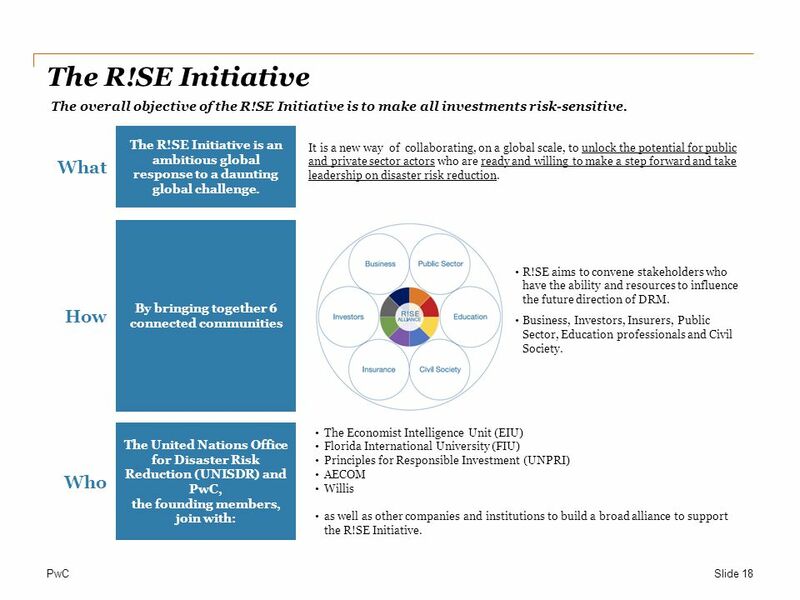 By bringing together 6 connected communities What How Who The Economist Intelligence Unit (EIU) Florida International University (FIU) Principles for Responsible Investment (UNPRI) AECOM Willis as well as other companies and institutions to build a broad alliance to support the R!SE Initiative. 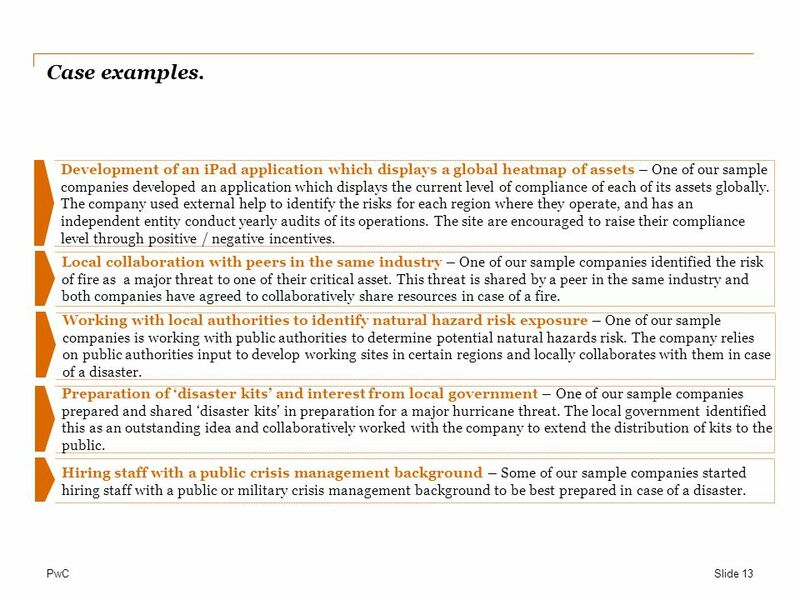 The R!SE Initiative Slide 18 The overall objective of the R!SE Initiative is to make all investments risk-sensitive. 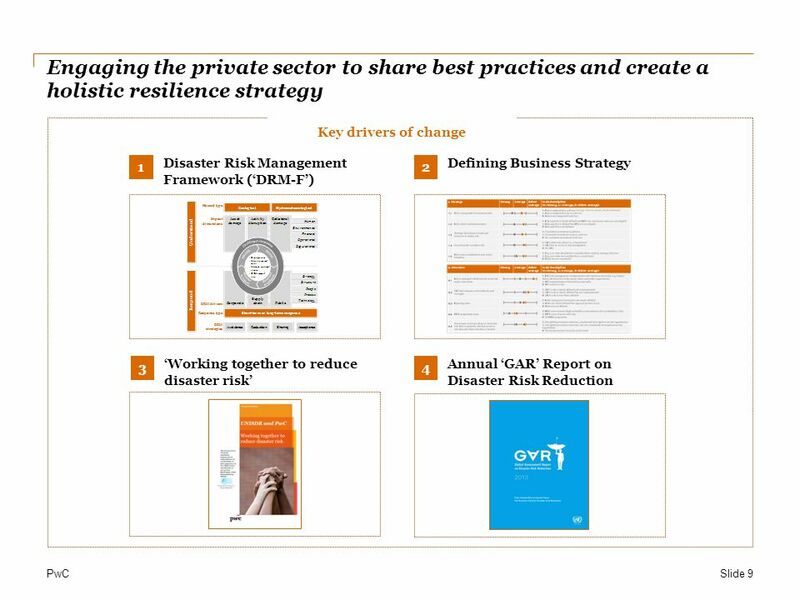 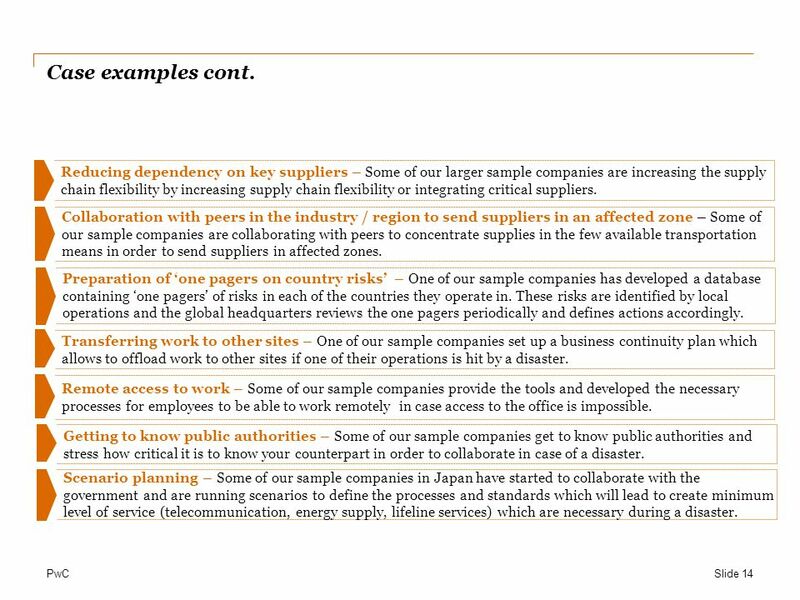 Download ppt "PwC & UNISDR Driving sustainable growth & resilience Advisory By Oz Ozturk February 2014." 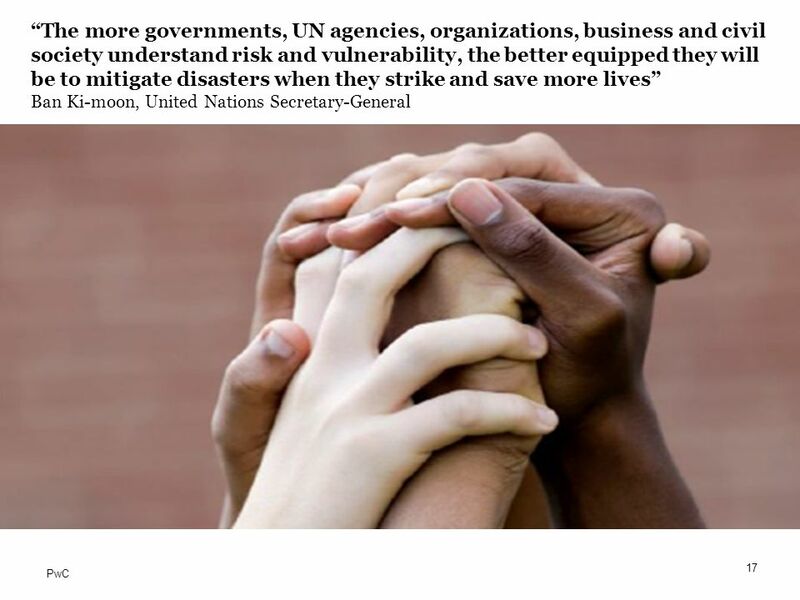 UNV is administered by the UN Development Programme Volunteerism and Disaster Risk Reduction & Management Oliver Wittershagen Portfolio Manager East Asia. 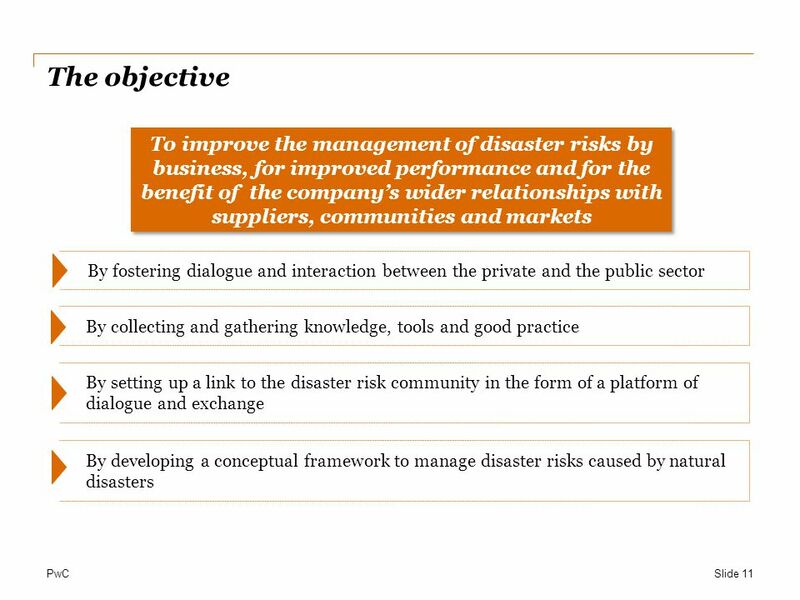 National Presentation Republic of Serbia SEMINAR: Insurance as a method for Disaster Risk Reduction in SEE April 2013 Berovo, Macedonia. 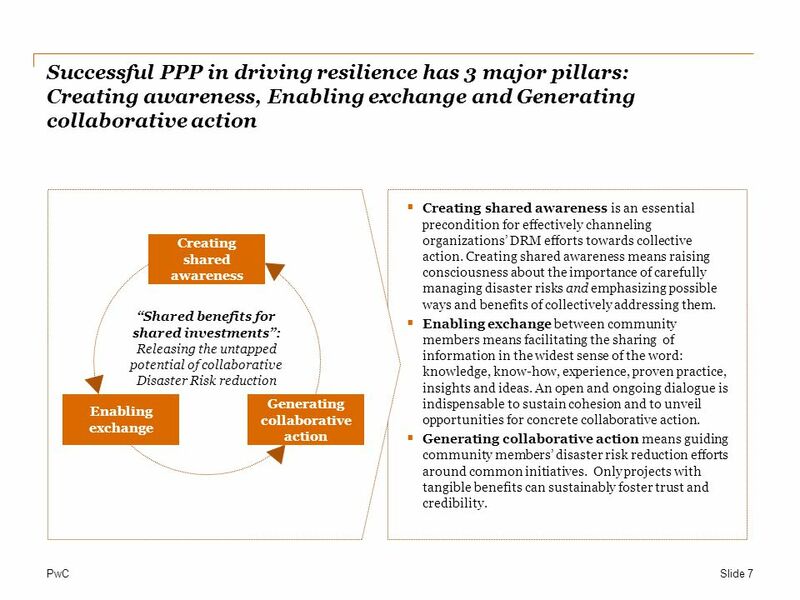 Multi stakeholder forums and Extractives in Africa Public participation & environmentally and socially responsible natural resource use. 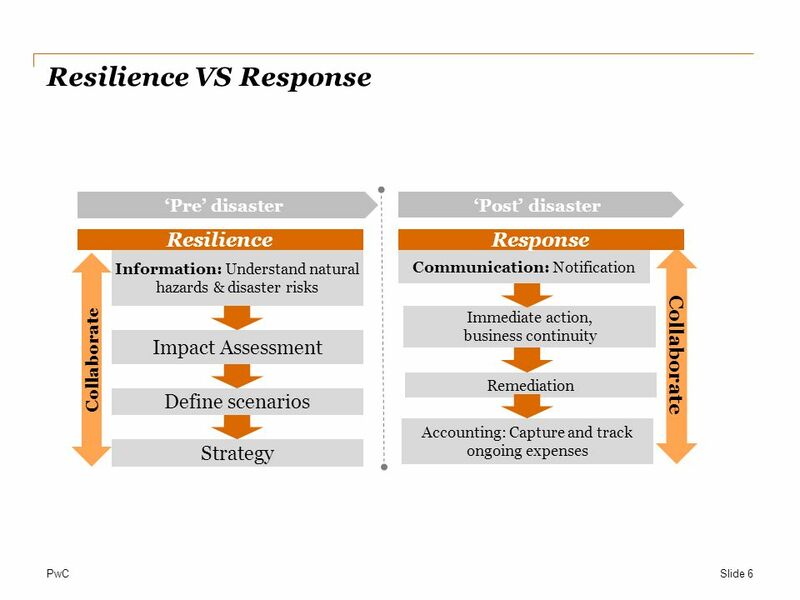 David Kaufman Associate Administrator for Policy, Program Analysis, and International Affairs Toward More Resilient Futures: Putting Strategic Foresight. 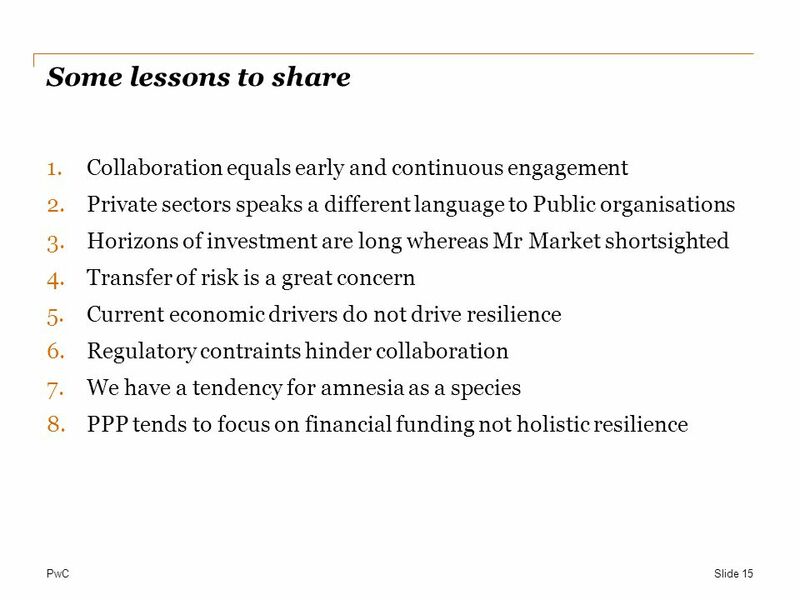 Implications for Caribbean Capital Markets 25 May, 2011 Marlene Murray CFA Society of Trinidad and Tobago. 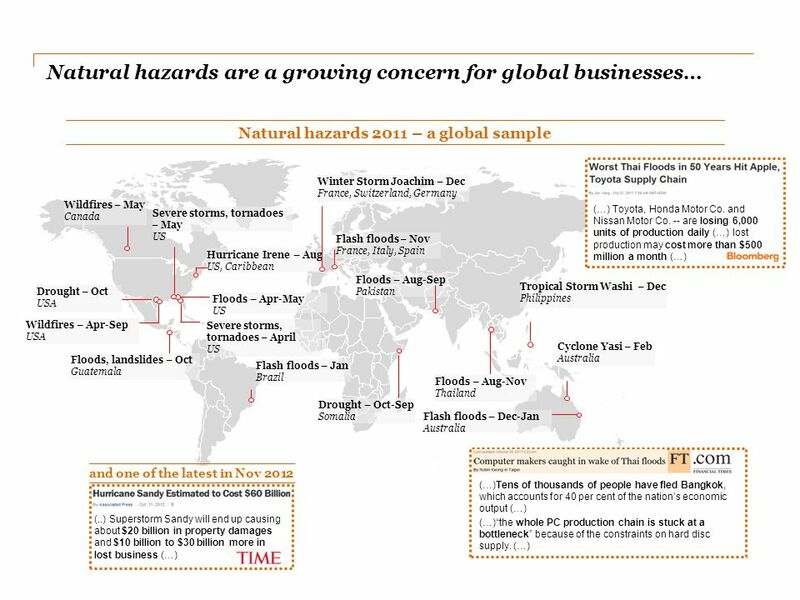 June, 2003 Poverty and Climate Change Reducing the Vulnerability of the Poor through Adaptation Poverty and Climate Change Reducing the Vulnerability of. 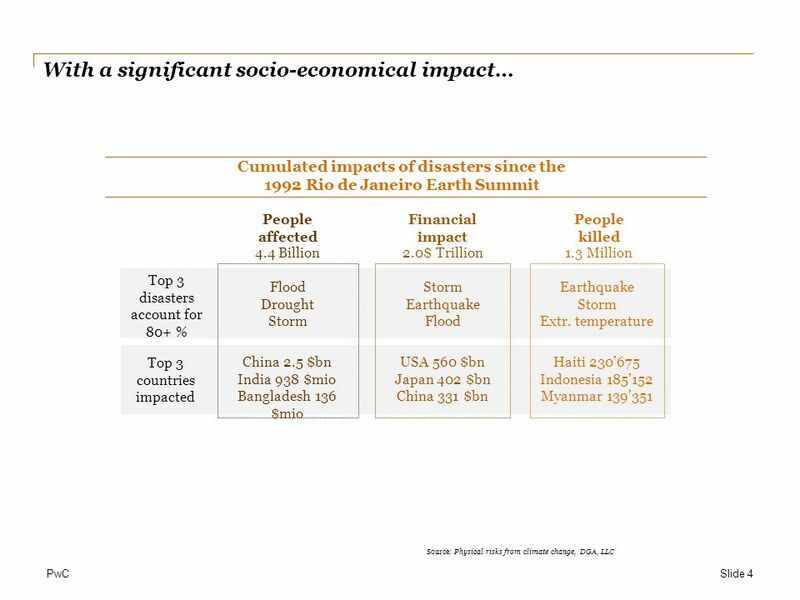 Disaster risk and poverty in a changing climate: the policy challenge IPCC Working Group II Scoping Meeting Oslo, 23 March 2009.